Does an infection cause sebaceous cyst on scalp after hair transplantation? Yes, it can cause sebaceous cyst after hair transplantation surgery, because there is always the possibility of infections occurring instantly after the surgery and hair transplant procedure is not an exception. However, this has been hardly ever reported after hair transplant surgery. 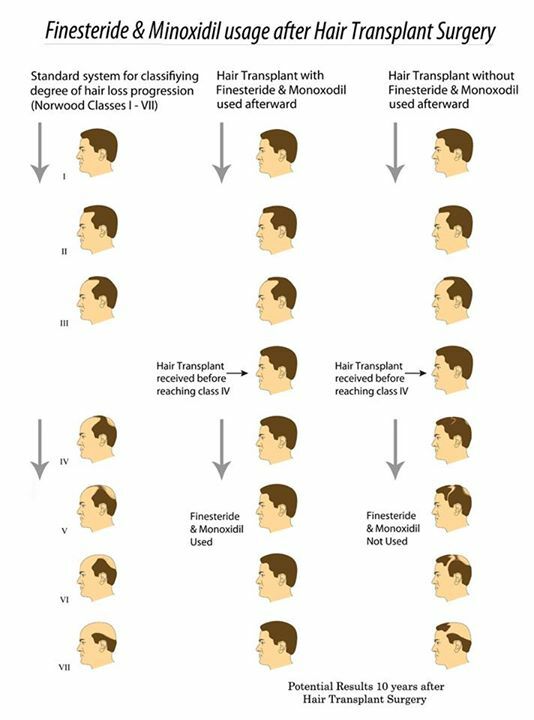 And you have to be very careful before and after hair transplantation. Cysts are small in size and it usually occurs when any contagious infection develops on your scalp and they directly damaged the newly transplanted hair follicles because they are pushed deeper into the head skin. Yes, it can cause sebaceous cyst after hair transplantation surgery, because there is always the possibility of infections occurring instantly after the surgery and hair transplant procedure is not an exception. However, this has been hardly ever reported after hair transplant surgery. And you have to be very careful before and after hair transplantation. Cysts are small in size and it usually occurs when any contagious infection develops on your scalp and they directly damaged the newly transplanted hair follicles because they are pushed deeper into the head skin. But the other possibility is that it can be occur when the surrounding hair follicles of the patient have been damaged during hair transplantation. It can affect on the patient’s and it can also react if the planted hair follicles suffer any hazardous infection. A major reason for this situation is that the surgeon didn’t take any precautions for infections. He should be very careful and take great care before and after the surgical process for the prevention of any possible infection. In case any cyst occurs, patients need to search for immediate medical attention since untreated problems can very easily intensify and it will cause a lot of pain. For that reason, it is vital to understand all the potential consequences and side effects before you go for a hair transplantation surgery. Inquire your surgeon to discuss how he or she deals with any bad consequences when they occur, and speak to patients who had gone through with these problems. That will provide you the best possibility of avoiding serious difficulties after your hair transplant. What is the survival rate in long hair technique? One of the most prevalent fears heard about hair transplantation is about its survival and resilience to last. People who are considering going for hair transplantation often mention their concern and reservation regarding the success rate and duration of life the transplanted hair have. It is not surprising to see patients having such queries because there have been many efforts to find a viable solution for excessive hair loss but there was little that could actually be relied upon. But the good news is, things have drastically turned around towards more hopeful and assuring side. Dr. Sajjad, a highly qualified and an expert surgeon in hair transplantation working with ILHT, talk about the greater success rate hair transplantation techniques now carry for the customers. Shun your worries, live a better future with greater reliability a hair transplant offers. Unfortunately! Forty percent of ladies suffer from some degree of hair loss in their life. A latest research by one of leading hair surgeons and experts Dr. Bessam Farjo reveals that for a variety of reasons forty percent of ladies become the prone of hair loss problems and that rate of hair loss is higher as compared to hair fall after the end of fertile phase that is ‘menopause’. After the cessation of reproductive ability, a number of changes occur in a woman’s body. The physical and psychological changes and hormonal imbalance lead to the excessive hair loss in women. The acclaimed hair transplant surgeon Dr. Bessam Farjo has been indulged in research and field advancements since 2006 and has been unveiling many truths and facts relating to hair. He is also the co-founder of the Farjo Medical center in Manchester and London where he is practicing hair restoration surgery. Since, thousands of women are suffering from severe hair loss problems but luckily, hair loss is treatable. With the years of experience and research in hair restoration field, Dr. Bessam shares six valuable tips for women to combat hair loss problem. Follow these useful tips and say good bye to hair loss issues. Diet- What we eat does not only affect our internal processes but also our physical appearance and external beauty. Dr. Bessam suggests to intake protein in much quantity to keep your hair healthy. Proteins are enriched in amino acids that highly contribute in cell growth and regeneration. Add protein enriched food items in your diet and feel the difference. Shampoo and conditioner– Both give strength to hair to protect from harsh weather by providing strong natural defense. Good quality of shampoos and conditioners contains natural nutrients that defend hair against weather changes. Invest in good quality shampoo and conditioner to regain natural beauty of hair. Dr. Bessam also adds that in order to stimulate the hair strength, it is highly recommended to apply intensive conditioning masque once a week. Massaging- Flaky and dry scalp is the outcome of cold weather that is the cause of hair loss. The best way suggested by Dr. Bessam to replenish natural oils of scalp is to massage with vitamin E, coconut oil or olive oil before shower. It will keep hair moisturized which is essential to prevent hair fall. Trimming- Not trimming your hair is gateway of severe hair damage that is the cause of hair thinning. It is highly important to pay visits to your hair dresser often and must trim your hair to remove split-ends. No over-coloring– The excessive exposure of chemicals damages the hair. Dyes and colors contain variety of chemicals that can ruin hair. Over coloring makes hair porous and all moisture from scalp escapes that result in dry and flaky scalp and frizzy hair. Don’t overheat- Washing hair with hot water seems to be pleasant but it actually damages the hair. It is best to wash hair with Luke warm water or cold water. Steaming hot water is detrimental to hair health. Minimize the use of styling products- Let your hair air dry and limit the use of hair dryer, curlers and straighteners to special occasions. All hair styling products make hair dry and brittle. These all tips are worth following to prevent hair loss. Give your hair a helping hand in facing harsh climatic fluctuations and providing moisture to regain healthy hair. Is there any chance to damage the follicles prior before the transplantation process?